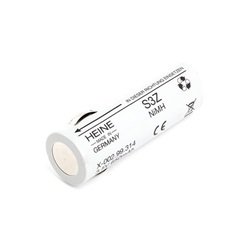 Heine 3.6 volt nickel-cadmium (NiCAD) rechargeable battery. For use with Heine AccuScan-S and NicaTron-S power handles. Button top. Measures 25mm in diameter and 72mm in height. 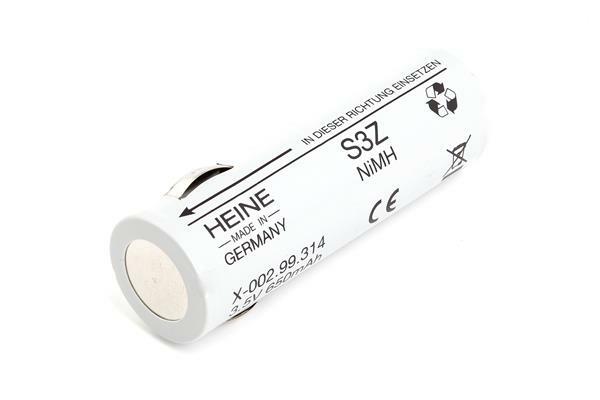 Manufactured by Heine. Comes as singles.